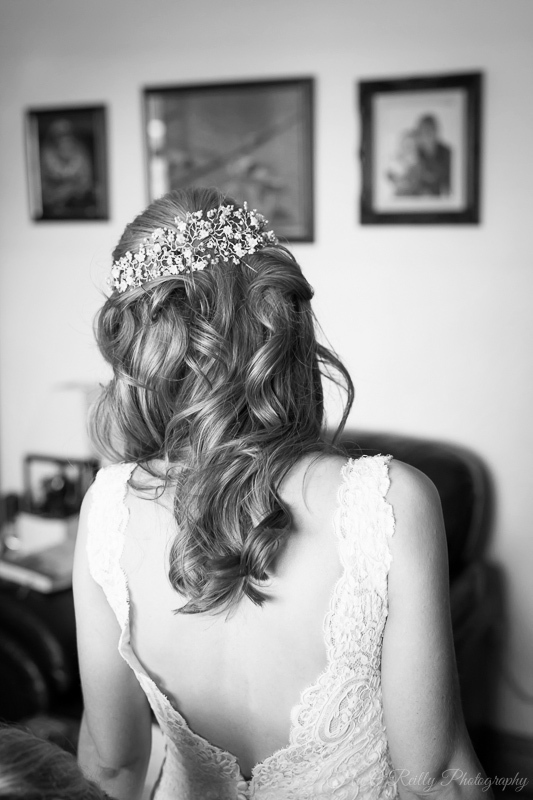 "My hairdresser told me it was the most stunning headpiece she had ever seen and I would have to agree! Thanks again!" Thank YOU for your kind words and for choosing Hermione Harbutt designs for your special day! You looked absolutely beautiful! Nicola had chosen our dainty Phoebe Garland for her wedding day. Lovely photography by Hu O'Reilly Photography.